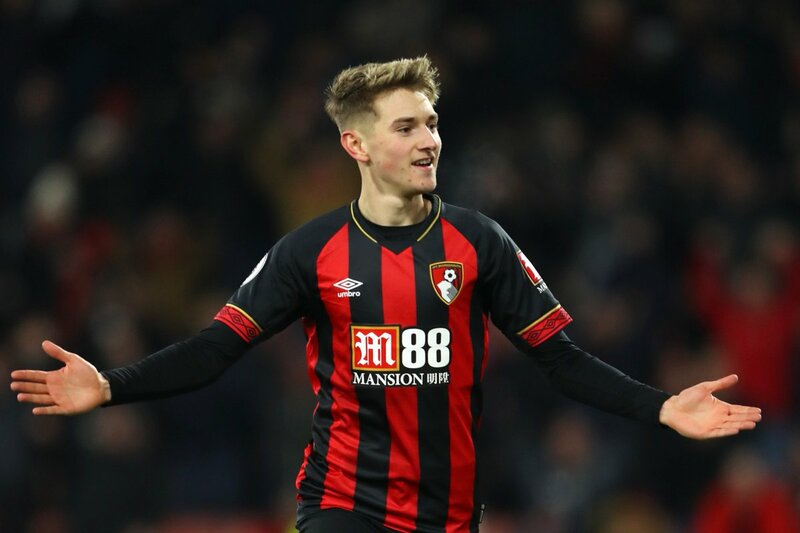 Tottenham Hotspur have reportedly joined Manchester United to try and sign Bournemouth midfielder David Brooks, according to The Daily Mirror. Spurs are aiming to try and beat United to the signature of the 21-year-old midfielder. The north Londoners are preparing a £50million summer bid to try and bring the playmaker to White Hart Lane. Tottenham head-coach Mauricio Pochettino was “aware” of Brooks’ talent and the Lilywhites could now be ready to make a summer bid for the youngster ahead of Manchester United. The Wales international has been in impressive form for the Cherries so far this term and has notched six times and registered four assists in 22 Premier League appearances. The Red Devils have been regularly keeping tabs on Brooks and the 20-time English champions could make their own summer bid to try and bring him to Old Trafford. Spurs are currently sit in third place in the Premier League table, while United are in fifth.